By using the principles of Inclusive Design, whether you are active and healthy or have minor or major health and / or mobility difficulties, we can enable you to have the beautiful bathroom of your dreams fully accessible and usable by you, your family and friends. 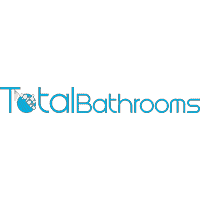 Total Bathrooms works collaboratively with partners to create amazing bathrooms for people who have specialist needs that look as fantastic and appealing as possible. No utilitarian plastic white fittings allowed! DESIGNATE Housing Adaptations Interior Design & Colour Consultancy is a unique health-focused Interior Design Service for people of all ages, including those who are currently well or have minor or major disabling health conditions. We are based in Bristol but the service is available UK–wide. We specialise in designing lifetime ‘forever’ homes suitable for multi-generational living. By incorporating the principles of Inclusive Design we make functional fabulous and create beautiful ‘wow factor’ interiors that enable everyone to achieve and enjoy harmonious and aspirational 21st Century Living.